A perfect treat for the holiday season. 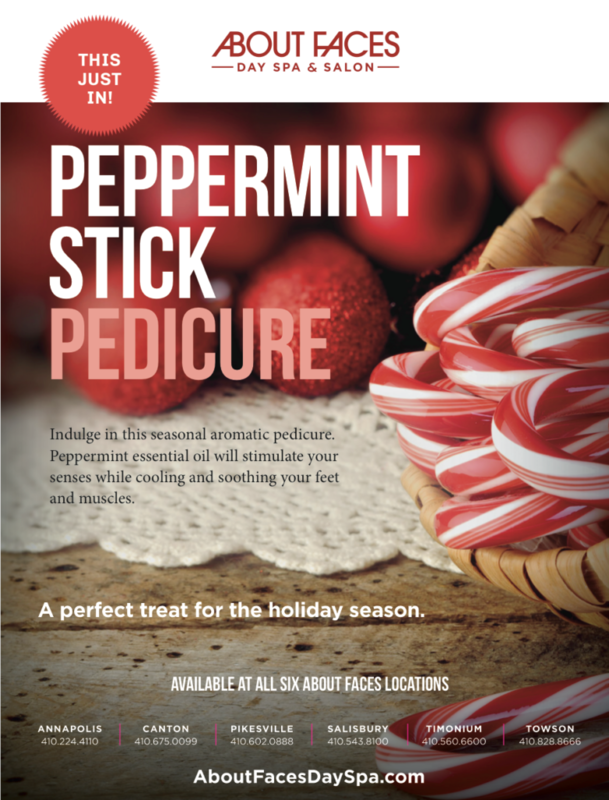 Indulge in this seasonal aromatic pedicure. Peppermint essential oil will stimulate your senses while cooling and soothing your feet and muscles.